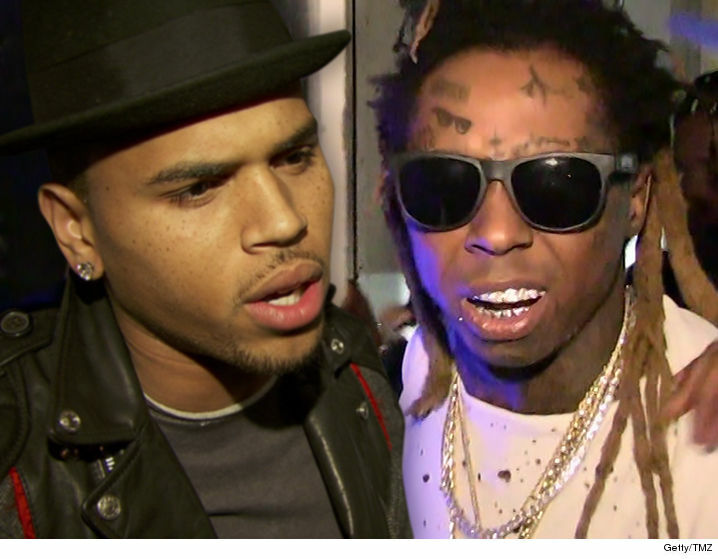 According to TMZ, Chris Brown and Lil Wayne are now reportedly targets of a federal drug investigation involving thousands of dollars of narcotics, including lean. The probe was triggered by a criminal drug trial involving Miami music producer Harrison Garcia who allegedly sent texts to people acknowledging and even bragging he sold drugs to the 2 rappers. In another text, Gracia sent a screenshot of a $15,000 bank deposit from Chris Brown, saying, “Look who put money my account.” The woman said, “What that for LOL” and he responded with with a couple of smiley faces with the message, “Drugs … lean and sh*t” … this according to the Miami Herald. Garcia often poses on social media next to exotic cars, bling, expensive sneakers, stacks of cash and guns … and has been photographed with CB and Weezy. The feds believe he used the drug money to buy those toys.